Two Friends In First for the Liebster Award! Can you believe it? I can't! I'm so grateful! 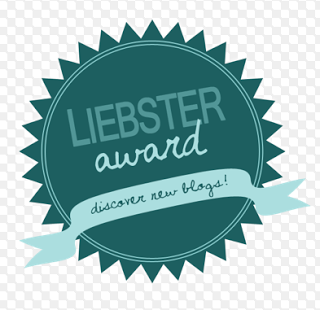 This award is given to newbies like myself and a big welcome from the blogging community. What an honor!! It is my pleasure to accept this award. Thank you so much! These are my questions from Annie! Thanks Annie!! 1. What is the biggest difference from teaching your first year and teaching now? The biggest difference for me is balancing my time. I can remember my first 3 or 4 years I would arrive to school when it was still dark out and leave when it was dark. Thinking I could get it all done and the truth is you can NEVER get it all done. If you know that teacher please introduce us. I've realized that I can only do my best and leave at a decent time at the end of the day. 2.Are you more addicted to blogging, Pinterest, or Facebook? I'm definitely addicted to blogging. Pinterest was my number one, until I got into this blogging world. I love reading posts and getting ideas. I also love sharing my ideas. Pinterest is still pretty high and Facebook I'm not too much of a fan I just use it for blogging purposes. 4. Why did you become a teacher? It's simple...I was born to teach. It's in my blood. Growing up elementary school wasn't always the best experience. I dealt a lot with being picked on. I was little and shy and I felt so scared and not safe at school. I new I wanted to always provide a safe atmosphere for my students. 5.What is your favorite sport? Christmas!!!! I love the coziness with this time of the year. I'm a HUGE fan of Christmas music. My dream vacation would be Figi. 8.If I could have a celebrity visit your classroom who would it be? My students inspire me. They way the look up to me and count on me. They make me want to be a better teacher every day. These are my questions from Autumn. Thanks Autumn!! 1. What is your favorite read aloud story? 2. Who is an influential person in your life and why? My mother is my rock! She's my best friend. Very loving, caring, and supportive. I admire how she took care of my family and how even after 35 years of marriage to my amazing father to still be in love. I want that someday. 3. Shoes, Purses, or Accessories? Purses!! I love a good handbag. I will spend big bucks (or save big bucks) for a great one. 5. What is your best management tool in your class? I would say my constant praise. I'm always making my students feel special and amazing. When they know how much I care they don't want to disappoint. 6. When did you know you wanted to be a teacher? 9. What is your favorite pen to use? team Iphone all day everyday!! My questions from Two Friends in First. Two Friends in First thank you so much! I admired so many blogs for years and thought hey I want to get in that world and share my ideas.2. Where did you go to college? Upper Iowa University3. What advice would you give new teachers? Be yourself and to realize you can't get everything done.4. What superhero power would you like to have for a day? 5. Who is your favorite musical artist/band? Norman Brown (jazz music)6. What is your favorite sport and sports team? football (GO TEXANS)7. What are the sweet and salty snacks you can't live without? Gummy Bear Lifesavers, Snickers, and Peanuts8. Do you have any children? No but want some9. If you didn't teach, what would you want to do? Act in Hollywood (I've always been told I should've been on the Disney Channel)10. What is your favorite clothing store? The Gap11. What is a famous quote that you love? 11. I was born and raised in Des Moines, Iowa and have been a Texan for 9 years! I just got your comment on TPT. Thanks so much! I saw several other bloggers posting about this award lately and wondered if anyone would think to nominate me and then I got an email from Amanda at Teacher at the Wheel nominating me and then I got yours a few hours later. Flattering to say the least! Thanks! You rock! You're so welcome my dear!! You deserve it!! Awe! Congrats! This looks like fun! Ill keep blogging so that I'll be nominated one day:) ! BTW dont forget to join my Erin Condren giveaway! Congrats on your award! That is super awesome!I follow you on Instagram and I am so glad I am now a new follower of your blog! Can't wait to read more about your teaching journey! Thanks so much for passing on the love, Tiffany!! What a fun honor! So happy to have found your blog!! You're so welcome Jill!! You deserve it!!!! !